If the digital revolution has had one consequence, it means you need to make your books easily available and discoverable everywhere, always…but how? By Jim Bryant Co-Founder & CEO, Trajectory, Inc. 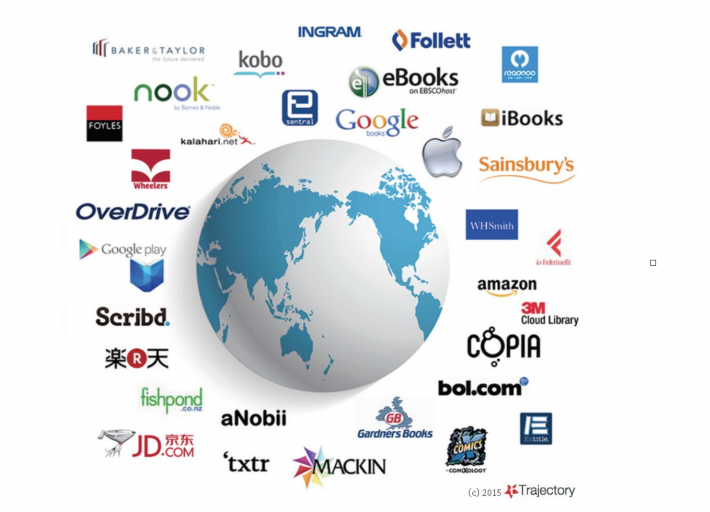 The $100 billion global book publishing industry has entered a new phase of rapid evolution. As the industry transitions from print to digital and from local to global we are reminded of Bob Dylan’s song – “The Times they Are A-Changin,‘” a song that helped to clearly define a generation. Ability to more efficiently monetize backlist titles. The transition from local to global is highlighted by the fact that English, Chinese, Spanish and German language eBooks are now available through digital storefronts and libraries in almost every country around the world. A generation ago, booksellers were more focused on selling foreign rights to their front list titles than they were in making their entire catalogue available in its original language globally. 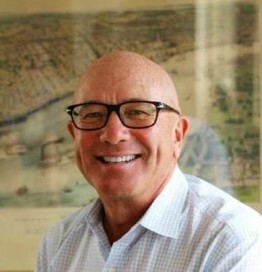 Jim Bryant is a featured speaker representing China and the United States at The Markets: Global Publishing Summit at the Frankfurt Book Fair on October 13, 2015. Finding potential readers today is easier than it has ever been. It’s getting their attention that matters. In order to succeed to your maximum potential, it is necessary to be available – everywhere and to be discoverable. The global market for books has become decentralized. In a decentralized marketplace, technology and data are the key drivers in building networks that connect readers with the books they may be interested in reading. There is no longer a single point of distribution for books and in fact new points of distribution are opening up around the world every month. New business models are also emerging that deserve to be carefully evaluated and tested. Bookmate originated in Russia and is now available pretty much around the globe. Its model for readers is the familiar Netflix model of a small monthly fee in exchange for unlimited access to a large catalogue of books in multiple languages. Their model for publishers is equally simple and sustainable. Bookmate compensates publishers based on the percentage of the revenue they actually receive from subscribers. The amount a publisher receives is equal to the proportion of the total words that the subscriber base reads that are attributable to the publisher’s catalogue. This is applied down to a title level so royalties can be properly apportioned. Are all words created equal? Maybe not, but BookMate values them all the same! Humble Bundle offers special time promotions for collections of books where the user pays what they want. Books are provided DRM free and a portion of the user’s voluntary contribution is typically provided to a designated charity. So how does an author or publisher make money? Ask Tom Clancy. He sold over $1,000,000 in books a couple of weeks ago. By tapping into a reader’s altruism and allowing the reader to assign the value they associate with your collection of books you may be surprised by the results. Specialty Retail, Library, Schools, Etc. Hoopla started out as Midwest Tape distributing audiobooks and CDs to public libraries. Hoopla is a well-designed app that allows users to “borrow” media from their local library. A growing collection of eBooks, movies, TV programming, music, and audiobooks are available to download – all thanks to your local library. Publishers are compensation based on a scale that takes into account the Digital List Price of the book. Length. In a digital world, the reader can change the size of the fonts and in doing so adjust the number of pages. So, the number of words is a more valuable metric in projecting the average reading time. Reading Level. The standard metric for determining the complexity and reading level of a book is the Flesch-Kincaid readability tests. I believe Trajectory is the first company to actually apply these models to the complete text contained in a book. In fact, we have applied this to nearly 100,000 books to date. This is useful for helping a reader find a book that matches their reading level. This is especially helpful in foreign markets. Highlight keywords, people, and places. This helps readers gain a better understanding of the book by glimpsing these terms. When a retailer integrates these terms into their search function in their search function it greatly facilitates search. Translated keywords. Translating keywords into local languages where the books are being presented can greatly assist with discovery. By understanding the unique characteristics of each book, it is now possible for sophisticated algorithms to make remarkable recommendations to similar books. About Trajectory. Trajectory was the recent recipient of the Book Industry Study Group’s 2015 (BISG) Innovation Award. Trajectory Inc. is an American technology company that focuses on solving the problems facing the global book publishing market. It was founded by Jim Bryant and Scott Beatty in 2012 and is headquartered in Marblehead, Massachusetts. The company is known for pioneering the development of a series of deep learning algorithms that are used to analyze and recommend books.